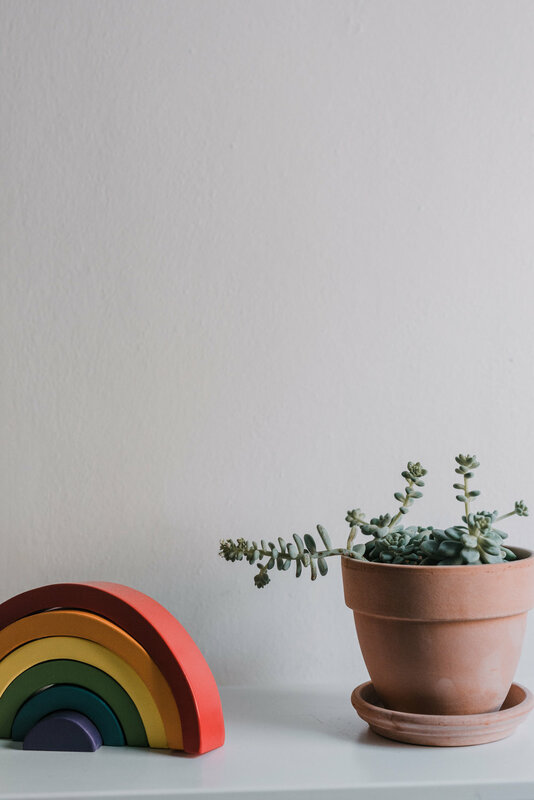 When it came to styling Luka's bedroom, I really wanted to create a space that was natural, simple and that could grow with him. It was important to have earthy, natural elements, lots of natural light and simple design and style. I scoured Pinterest for inspiration, as well as a number of Instagram accounts that I go-to for regular style inspo. The biggest decision, and where we started from, was finding the right bed. We looked at a range of alternatives, from single beds to bunk beds. We wanted something contemporary, natural and great quality that if we invested in it now, would last (and look good) for years to come and ideally, still be suitable as Luka got older. We settled on this incredible Bed Base with Trundle from Mubu Home. As Luka has a huge room, the space is 4.5 x 4.5m approx, we opted for a Queen Bed with a Single trundle to a) suit the space b) for longevity and c) because let's be honest, I end up sleeping in that bed too most nights. The bed frame is Oak and finished in an eco-friendly natural oil and the trundle also came with a custom mattress which was fab. 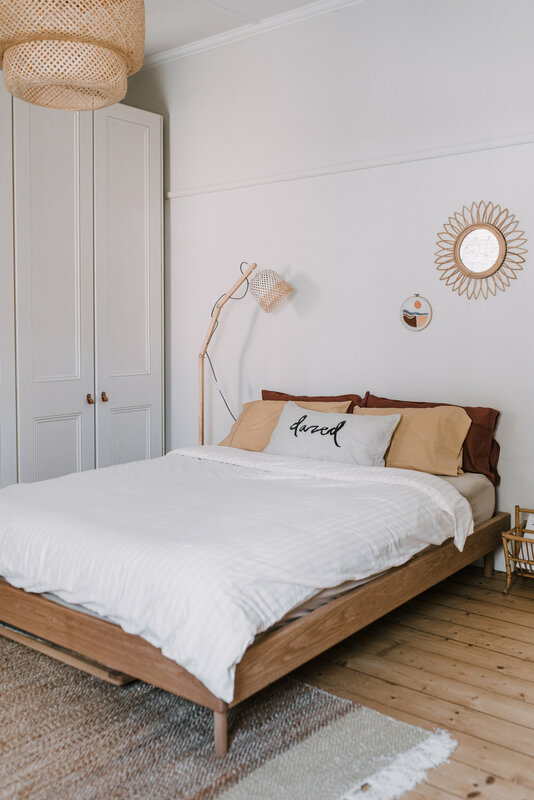 We chose to invest in the bed and a number of hand-made, artisan finds such as the rug from Collective Sol and weave hoop by Woven Store mixed in with more affordable pieces (IKEA Table + Chairs) for a good balance (and to help maintain the budget!). We made simple updates to the wardrobes by adding faux leather pulls from Ikea for a more contemporary look.